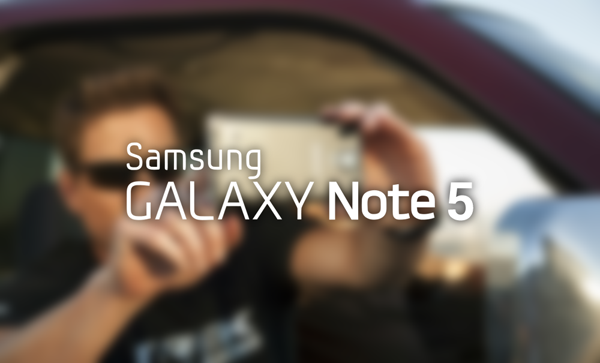 It’s almost the time of year where everyone releases their big new flagship smartphones, and one of the phones most eagerly anticipated is the Galaxy Note 5 from Samsung. The next in Samsung’s line of over-sized smartphones, the Galaxy Note 5 is expected to get its debut at IFA 2015 and is likely to be one of the biggest releases of the year. As tends to be the case with these things, information has been leaking out about the Galaxy Note 5 for a little while now, but while we have been seeing reports of a 5.67-inch AMOLED screen and wireless charging, information on what will keep the insides of the smartphone warm has been a little thin on the ground. The Galaxy Note lineup is known for packing quite a punch in the performance stakes, so it’s always exciting to see what the new phone will come with. Now, thanks to new information coming out of SamMobile, we have our best information yet as to what the Galaxy Note 5 will use as its beating heart. According to the new report, the Galaxy Note 5 will come with a whopping 4GB of LP-DDR4 RAM, which means that it will not only have more, but also faster memory than almost anything else on the market at the time of its announcement. Backing that RAM up will be a new Exynos 7422 chip which is said to be Samsung’s first real single-chip part. Within that chip will be an eight-core 64-bit CPU, GPU, storage and RAM as well as an LTE modem. Packing all of that into one chip isn’t going to be easy, but if Samsung does manage to get the thing out of the door then the Galaxy Note 5 will be quite the achievement. Due to lackluster Galaxy S6 sales, Samsung has also been reported to be considering bringing the Galaxy Note 5 to market as soon as August beating the iPhone 6s launch which is due for its big debut in September, but whenever Samsung’s new phablet does launch, the new smartphone is set to cause quite the splash. If Samsung does indeed launch its new phablet in August, we’ll definitely know about its plans in the days to come, so stay tuned. It doesn’t matter what they do, it still has Android! Awesome news SamDung! The Note 5 sounds lag-tastic! nah! shamesunk NEED 16-core CPU and 8GB RAM to WIN THE MARKET, its easy to win Apple just doubled all they gonna release on SPECS, AND do no more than U$500, I bet 100% shamesunk will have 99.99999% market! height of shame. keep on increasing the RAM but unable to make software that can handle the things easily. did you ever have the money to buy android phone? I don’t think so, if you are so poort to buy it. don’t try to spread disease. My note 2, note 3 and note 4 handle everything with ease without lag and freeze. oh yes i have iphone 6 plus 128gb as well. They can put 10 gigs and every year less and less people will care. Finally android users are realizing that its not about the spec sheet. Why u started crying & feeling it personally. I never checked the hardware specs of iphone ever. Because i know its great in it. Its dual core performs much better than quad/octa core & GBs of ram. It like a desktop pc you can buy new pc just keep on increasing ram. I’m sure that 8k looks amazing playing canndy crush on your 5 inch phone lmao. I used to say the same thing until I got my G4. 1440p does look great on a 5.5. I don’t personally play games on my phone, I’m not a teen anymore. But again, trying to explain a different point of view to an apple fan, it’s like shooting myself on the foot. So, have a pleasant evening! Aww cmon, u started the name calling, don’t get sensitive now. No hard feelings. Samsung isn’t that smart… If they knew how to read (and read all the comments from complaints), they’d see why the S6 didn’t sell well. Has nothing to do with other phones. It’s because they removed the SD card and removable battery. 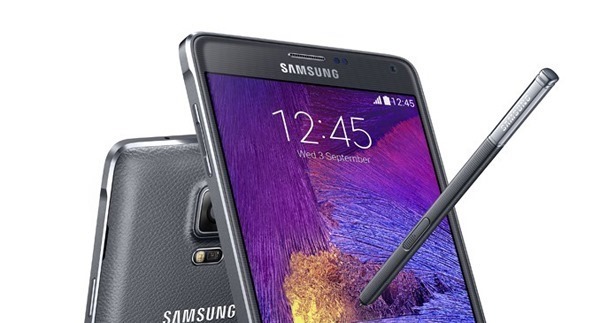 They’re doing the same to the Note 5 so it doesn’t matter how early they release it. Sure the true Note fans will buy it, but I think a lot of people are going to be disappointed again like they were with the S6. The only people who prefer no removable battery and SD card are those who already own an iPhone. Looks are not everything. Features and functionality are what sells smartphones. You can see pixels on a 750p or even 1080p screen. Calling people ignorants over the Internet? Lol, says alot about you. I’ll make you eat that word when the YouTube videos come out showing “How to speed up your lagging Note 5” or “Why does my Note 5 lag?” Just like it did when the Note 4 came out with it’s better specs and more RAM. unlcok the most recent 6 and 6+. Hello folks, I believe lots of you find out that numerous AT&T սոⅼοсking sites are not working anymore, it is because AT&T doesn’t permit cheap ՍΝᏞΟᏟΚing sites’access to their database anymore. Which caused a lot of third party ՍΝᏞΟᏟΚing sites unable to սոⅼοсking AT&T anymore, but you can still use just google atttiphoneeuunloockiing, it’s one of the fastest սոⅼοсking site for AT&T.